You already have everything planned for your next vacation in Cancun and Riviera Maya. You are waiting to board the plane and the weather forecast indicates that everything will be perfect. After a few hours of flight, you come down of the plane and the first thing you feel is a hot, humming blow that sometimes does not let you breathe... you smile, you start to sweat and you can not wait to get into the pool or the sea... You have arrived in Cancun! 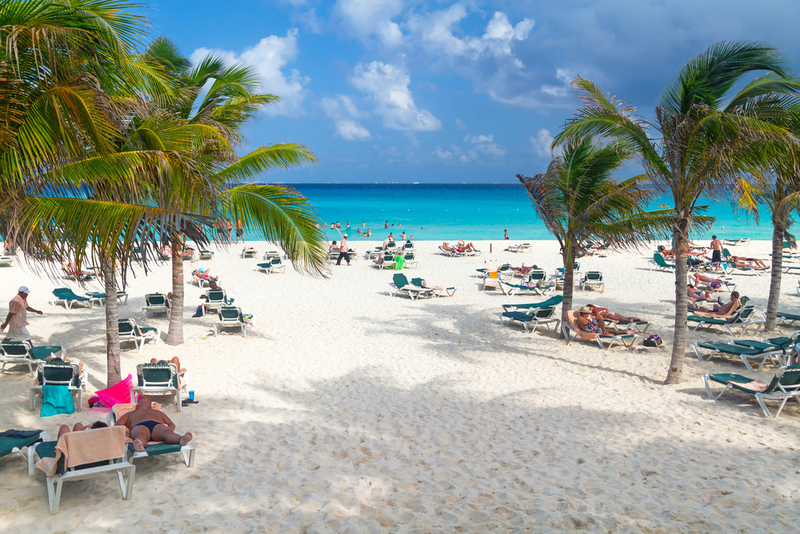 30 °C (86 °F) is the average climate temperature in Cancun and the Mayan Riviera on summer days. In spring, autumn and winter it can go down to 27 or 25 °C (80 or 77 °F). The whole year is ideal to spend in this paradise! As you already knew that, you booked several fun water activities: a snorkeling tour with turtles for your first day, a catamaran ride to Isla Mujeres for the second day, parasail and jet ski for the third day, maybe 3 or 4 hours in the beach or in the pool of your hotel for the fourth day and a walk through the shopping centers of the hotel zone for the fifth and last day. This story is repeated by the same number of millions of tourists who visit Cancun and the Mayan Riviera every year. I have witnessed innumerable cancellations of aquatic activities because of the weather. I have also seen how many tourists simply get blocked and do not know what to do to enjoy their vacation in Cancun even if it is raining. It's frustrating! So here are the 4 best tours you can do with bad weather in Cancun and the Riviera Maya, so that your vacation does not go to waste in the blink of an eye. Mayan archaeological ruins. The most unpleasant thing in the tours to the archaeological ruins is the unbearable heat. 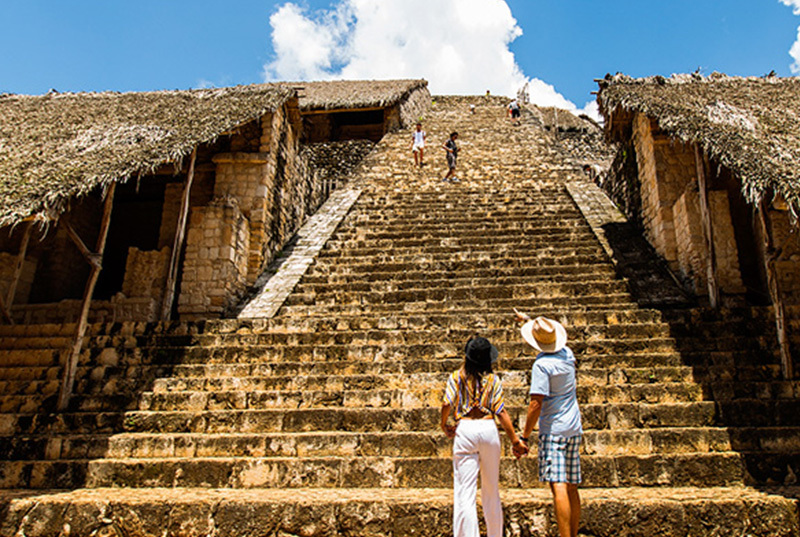 Nobody wants to walk at least 3 hours in Chichen Itza under the intense solar rays with temperatures of up to 35 °C (95 °F) and with 100% humidity without wind. Nor will you want to climb the pyramid of Coba with such relentless heat. It's like doing aerobics in an outdoor sauna! That is why the best days to visit the archaeological sites of Tulum, Chichén Itzá or Cobá are cloudy or a little rainy. It is very nice to listen to your guide's explanation without worrying about the weather. Although it is cloudy, the humidity and temperature of about 26 °C (79 °F) remain uncomfortable, so a sudden light rain is always welcome. 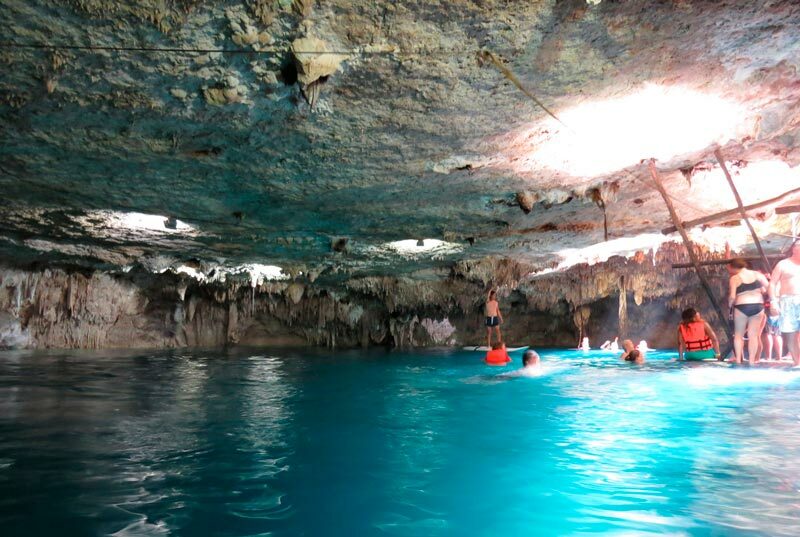 In addition, in this list of tours to Mayan archaeological ruins, you will find options that include a visit to a cenote, which means you can take a dip even with cloudy or rainy weather. Tours in the Mayan jungle. How about changing that snorkelling tour that was ruined by the weather, for one that includes 3 activities for the same price? This is possible depending on the tour provider you choose. Whatever it is, you do not have to resign yourself to losing a day locked up in your hotel just because it's raining or cloudy. 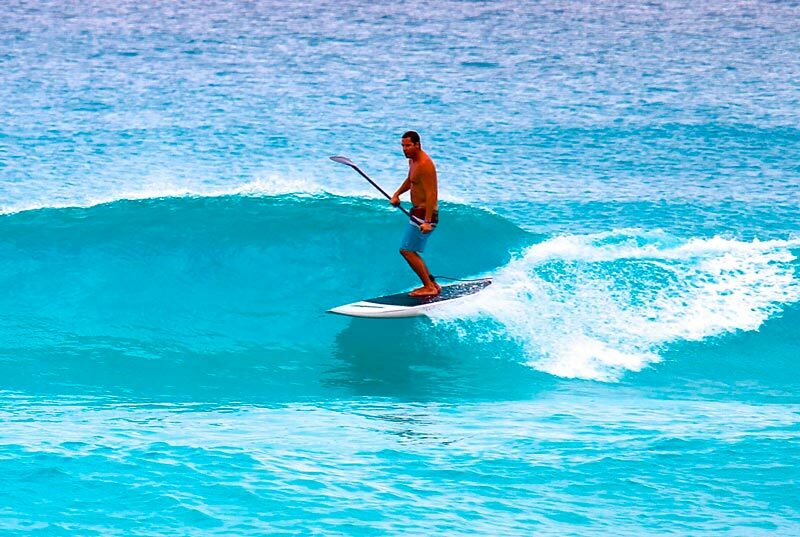 The tours in the Mayan jungle do not have the same restrictions as the water activities, so they are an excellent option to enjoy in all kinds of climates. Zip lines, ATVs, cenotes, etc., are activities that are not enjoyed at sea, so you can choose them for cloudy days. These adventure tours in the Mayan jungle offer you those 3 activities for about USD $ 60.00, the same as it costs a single snorkel tour and the best thing is that it works in all kinds of climates! Cenote in "La ruta de los cenotes", Puerto Morelos. Theme parks. They are by far the best choice for cloudy days. Here you do not have to worry about anything because they include many activities that you can do with any type of weather. The Xplor park is full of underground passages with stalactites. It also has 2 circuits with zip lines, including the longest in Latin America. You can drive an amphibious vehicle through the Mayan jungle and enjoy unlimited food and drinks without worrying about the heat or rain. 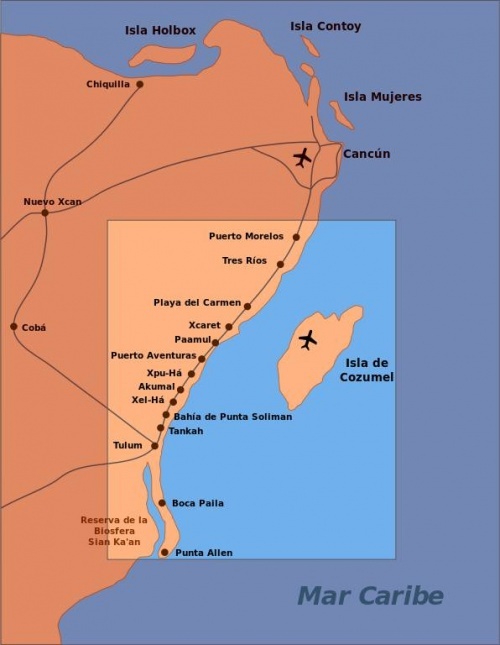 Here you can see everything that includes the Xplor park. If you insist on wanting to swim, the Xcaret park is your best option. 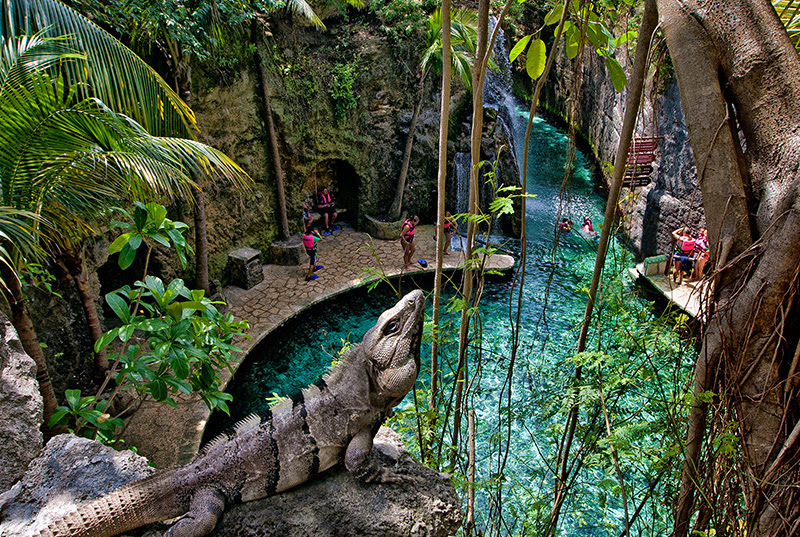 The underground river in Xcaret is also available although there is bad weather. You will also enjoy activities and cultural tours. The food is included in your "plus" ticket and at the end, you can enjoy the show "Mexico Espectacular", a show with actors and music that is worth waiting for until the night. 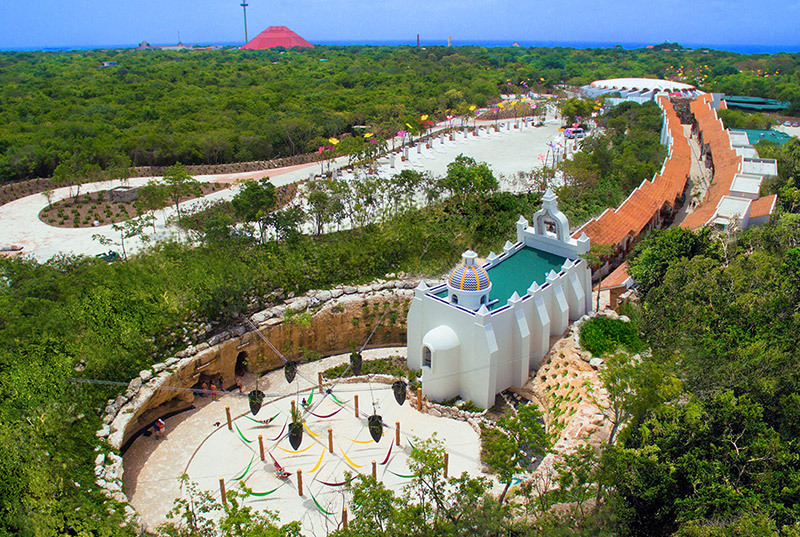 Here you can review everything that includes the Xcaret park so you won't waste a single day of your vacation. Finally, the Xenses park is a quick option because it has 2 entry times, ideal for those who have the morning ruined by the weather. Both of the 8:00 am and the 2:00 pm schedules, Xenses park will drive your senses crazy since you arrive. It is a park of optical, auditory and sensitive illusions, and incredible sensory experiences, so the weather is the least to enjoy this park. Here is all the information about the Xenses park. Review it and take it into account if your travel date to Cancun or Riviera Maya is in the rainy season. It will be very useful! Clubs and bars. They are the last option for a day ruined by the weather. In general, heavy rain arrives at night in Cancun and the Riviera Maya. Sometimes it even rains 2 or 3 days without stopping, but the biggest storms almost always arrive at night. If you are one of the unfortunate visitors who could not do anything all day, the night does not have to be boring. The bars and clubs in Cancun, Playa del Carmen and Riviera Maya have no restrictions due to the weather (unless it is a hurricane). Do not get bored! 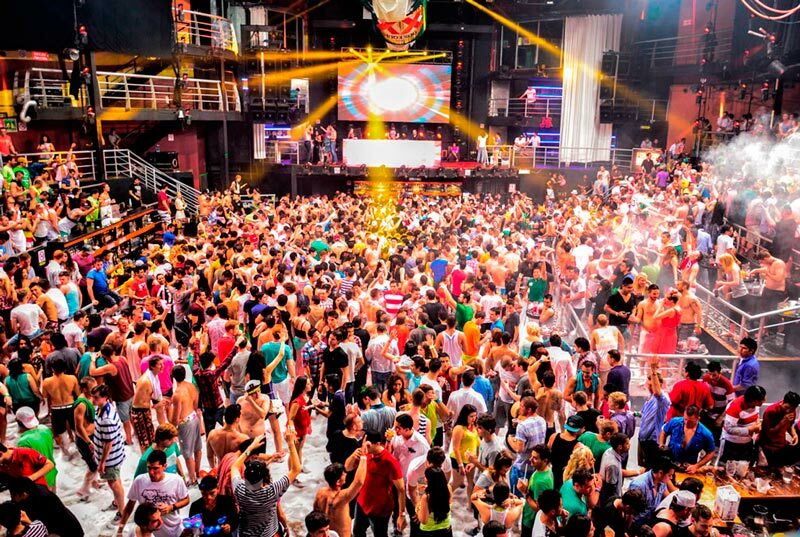 Coco Bongo Cancun is one of the best nightclubs in Latin America recognized worldwide. 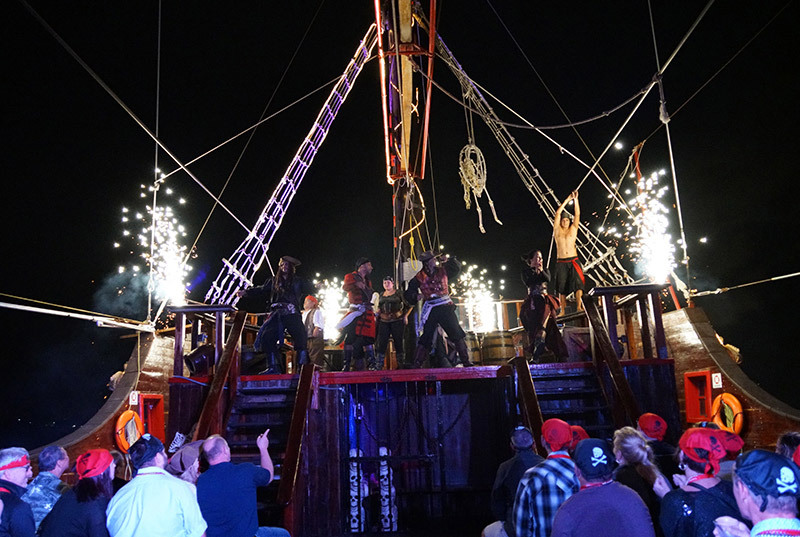 It also has the best nighttime show in the entire Riviera Maya. From 10:00 in the evening until 3:00 in the morning you can enjoy the open bar (the heat of the drinks will dull the rain outside), the incredible sound and the nightly and constant show. The price for the open bar is USD $63.00 Cheaper than your parasail cancelled due to bad weather! Here you have all the details of what tickets for Coco Bongo in Cancun include, even the "gold member" or VIP version. Check and enjoy. Also here are other bars such as La Vaquita, Sr. Frog's, Palazzo and Mandala. Check what each one includes so that your night is spectacular even if it is raining. The people in the photo below do not seem to be worried about the outside weather, do you? Reprogramming of your activity without cost. Do not be charged for changing dates. Bad weather guarantee. A refund if the weather does not allow the activity. Ask about the restrictions. Change of activity. If you want to avoid the cumbersome process of cancellation and refund, it is best to change to a tour for all kinds of weather. It is better to pay little difference than to lose one or two days. Now tell me, has the weather ever ruined your vacation? I await your comments.